We all know how popular Farmville has become as one of the most talked about social/gaming apps on Facebook, and it seems that Zynga is now making the obvious move bringing the title to iPhone and iPad. While there is certainly nothing in stone as of yet, it’s a natural progression for a game like Farmville which would obviously be well suited to the iPhone OS platform. Zynga has not made any announcements as of yet, but TUAW has discovered that the domains Farmvilleiphone.com and Farmvilleipad.com have been reserved by the same company that run the official Farmville website. We are unsure as of yet whether or not their will be official apps for the title in the App Store, these domains might be just to provide iPhone and iPad users access to the game through their browser. 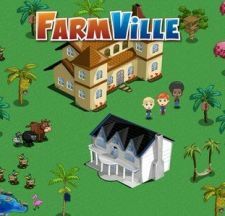 Do you think Farmville will be a big of a hit among iPad and iPhone users as it is on Facebook? How do you think Zynga will take advantage of iPhone OS 4’s Game Center? Atlast Farmville now comes to iPhone also, I really wonder how people play that stupid game, Anyway as long as they have supporters, the game will progress. I have been using the iPhone app “Farmer’s Hero” for about a couple months now and love it. It is an app that collects the bonuses your friends have published in your newsfeed for you while you are away from Facebook and puts them in your giftbox in your Farmville game. I run it on my iPhone while I’m at work and also when I’m sleeping. It’s the next best thing to being able to play the actual game on the iPhone!